Despite the many impressive aspects of Die! Die! 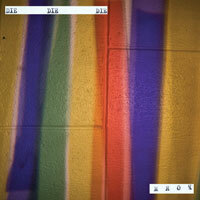 Die!, the clear stand out has to be their ability to consistently sound progressive within the same set of influences. It lends the band a familiarity that survives on new album Form, but is also recontextualised by a fresh template and a much more expansive sound than we’re used to. The album name therefore becomes both truthful and a misnomer for the band, in that they apply an identifiable formula, but they don’t limit themselves to mixing the ingredients of that formula in the same way all the time. Whether they’re being aggressive, abrasive, accessible or abrupt it’s always all there, just at different levels of intensity. It won’t take you long to get a grasp on Form and how it relates to or differs from their previous work. The production will be the most noticeable difference, this time handled by former Skeptics bassist Nick Roughan, who has made Andrew Wilson’s guitar the pervasive framework of every song. With Michael Prain’s blunt drumming, Lachlan Anderson’s taut bass and Wilson’s nasal vocal delivery informing each track, the dense material swells around, rather than attacks, your senses. Declarative opening track ‘Caseman’ perfectly showcases the band’s intention of creating a new sound on Form. Whether you prefer the additional sonic palette on this track, lead single ‘We Built Our Own Oppressors’ and the almost shoegaze-y ‘Daze’ or the more straightforward throb of ‘Howye’ and the highly accessible ‘Wasted Lands’ will be a matter of personal preference. But you could (or should) concede that Die! Die! Die! do both incredibly well. There is a lot of serendipity at work in regards to the point at which Die! Die! Die! have ended up, including working with Roughan and signing to Flying Nun Records. The label is in many ways their spiritual home as they move from a lot of their original stateside post-punk and no-wave influences to inhabit a lot more that are homegrown. They are an exciting band who are at an exciting time in their career and have just released one of the most exciting albums of the year.